Home / Fitness / Healthy habits / Lifestyle / Weight loss / workout / If you want to achieve your fitness goals faster, you need a fitness journal! 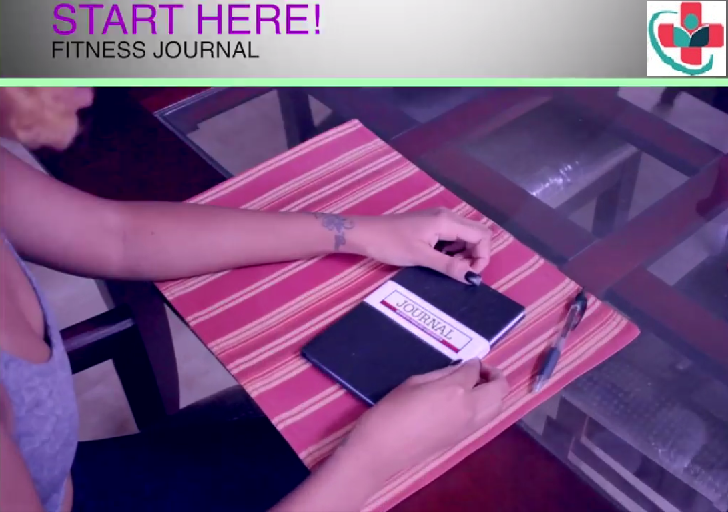 If you want to achieve your fitness goals faster, you need a fitness journal! Do you have a clear and real training plan when you head to the gym, apart it being the strength or cardio day? Let’s be honest. A lot of us wander into the gym and randomly select exercises and weights. Basically, whatever catches our eye, or whatever we already know how to use and how to do. So, totally random and restrictive. Keep a journal, you won’t just see where you keep falling off the wagon and prevent it, but it’ll also motivate you. A fitness journal means you have all the information you need to assess your current workout, make changes when necessary, track your progress and continually move forward in your fitness. Fitness journals are essential for any fitness goal, regardless of whether the goal is to lose weight, gain muscle or win a race. Keeping a fitness journal means you can plan ahead to achieve your goals, look back to see what’s working and what’s not, and have a clear idea of what you’re going to do today when you head to the gym. It takes the guesswork out of it and maximizes the results of everything you do because when you keep a fitness journal everything you do has a purpose. 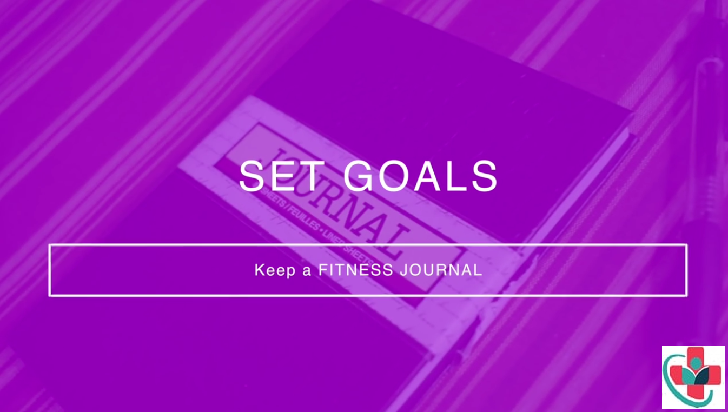 A fitness journal can help track your progress. Most individuals begin a new exercise program with the best intentions but may fall short of their goals or end up abandoning them altogether. Maintaining an exercise journal helps a person keep track of progress and see firsthand if he or she is sticking to a steady exercise routine. One of the biggest barriers to fitness success is an irregular fitness schedule. Working parents often forget or can't find time to exercise between work and caring for their children. Keeping an exercise journal helps busy people schedule exercise routines that fit between their activities. A fitness journal doesn’t have to be anything elaborate or complicated – a simple notebook will suffice or you can use one of many online workout trackers and apps. Whatever you choose, you can be sure that using a fitness journal will give you a training edge and help you reach your fitness goals quicker than you ever thought possible. Day and date. You can use a snazzy app, a diary, a desk calendar or add a note in your Outlook calendar. Feelings. Always do this at the end of the day. A simple happy, sad, or indifferent will do (you could even use smiley faces! ), or if you wish to elaborate you can. In this section, add any special notes or major events. Activity. List the time, duration, type and intensity of the activity. Body assessment. Do you feel any pain or excessive tiredness? Did a particular exercise feel uncomfortable, or do you feel amazing? Nutrition. Did you eat well? Put down a number from 1-10, with one being terrible and ten meaning you were perfectly on target. So, you’re keeping a fitness journal – what next? After keeping a journal for at least six weeks you get to play the role of detective. It can be fun to look through and evaluate patterns in your behavior. With a fitness journal, it’s simple to detect problem areas or successes at a glance. Let me share some common fitness roadblocks and patterns that people discover when keeping a journal. Exercise patterns. Try to find a pattern of which days are your most successful activity days. Many people discover that Monday workouts are essential. If you look at your journal and see that weeks that start out with a Monday workout consist of more total workouts for the week, then you should try to always make time for a workout on the first day of the week. A decline in activity. If you notice that your activity level declines as the week progresses, then it is important for you to discover why. Is it because you are sore, tired or just busy? Your fitness journal notes will help you to create a plan to stay consistent. Distractions. Life can be hectic and full of surprises, but do you notice that a certain family member or friend is disrupting your workout plan? If this is the case, you need to ask them for support or invite them to join you. Emotions. Certain types of exercise can affect your emotions. Maybe you’ll notice that each time you do a particular type of workout you end up feeling uplifted for the rest of the day. Now that you know, you can try to fit in a quick blast of your favorite exercise style to turn your day around if you are low or lacking motivation. Alternatively, if you see that on gym days your mood is not so positive, you could try skipping the gym and adding a workout outside or at home instead. Finding what works best for you is the key to prolonged success. Your individual success is based on you, and once you begin to keep a regular and honest account of your fitness you’ll ensure yo-yo activity levels are a thing of the past. I believe that my role as a fitness professional is to help people take control of their fitness and keeping a fitness journal will help you discover how to work with your personality and time commitments to be more successful. READ ALSO: GUIDE TO MAKE YOUR FITNESS GOALS STAND THE TEST OF TIME.